Our custom 30 oz. Stainless Cyprus SS Vacuum Insulated Bottle is made of FDA compliant materials. TruColor™ Direct Digital Print technology is a unique patent-pending digital print process that allows you to print your logo in vibrant color directly on to this item. There is no limitation with the logos, artwork or colors that can be printed with TruColor™. Impress your clients with how vibrant their print can be, whites are bright, yellows and reds will pop. TruColor™ technology has the capability to print standard one color or multi-color logos, photorealistic, multi-color logos with tight registration and logos with half tones or gradients. Get your daily fluid requirements with 30 oz. Stainless Cyprus SS Vacuum Insulated Bottle and easily promote your brand by printing the logo on its sides. 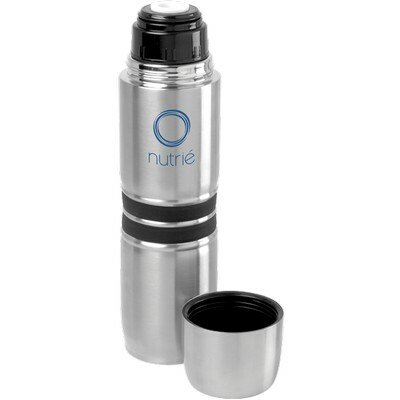 Sporting a high grade 18-8 stainless steel dual wall, the bottle has vacuum insulation. The dual insulation provides optimum heat retention and ensures that your drinks stay warm throughout the day. 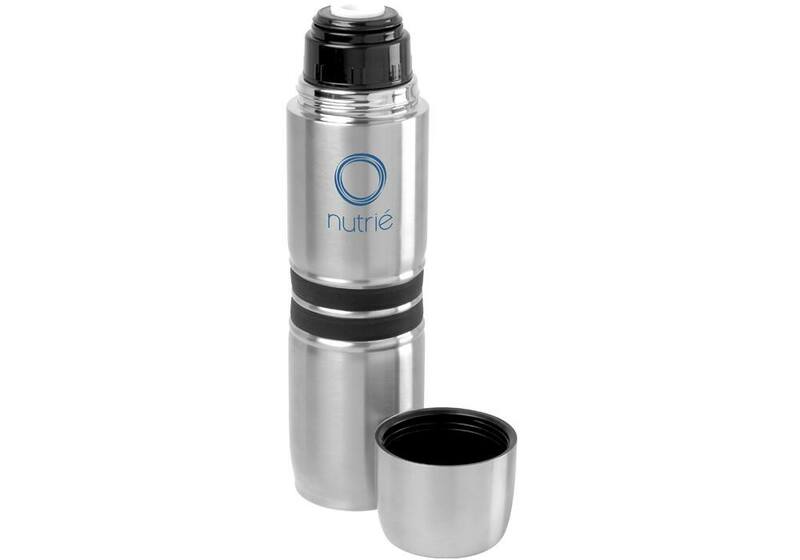 The bottle features one cup and an easy pour button release. The 30 oz. Stainless Cyprus SS Vacuum Insulated Bottle is made of FDA compliant materials. It makes a great gift for runners and marathoners. Showcase the bottle at gyms, marathons, and other sporting events and make your brand omnipresent.